«The pedagogy is the first and highest of arts, as it strives to express the perfection not on the canvas, not in marble, but in the very nature of man». This day has come. It is time to sit on a leather chair, light up the old wooden tobacco-pipe of my grandfather (*smoking seriously harms your health), take a pen and from a height of passed years start to share my pedagogical experience. Unfortunately or fortunately, I do not have such experience, that is why I devote today’s piece of writing to the person whose contribution to education is substantial and has a big value in present. 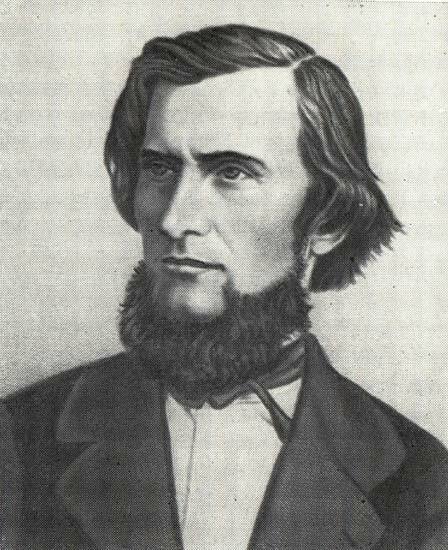 Konstantin Dmitriyevich Ushinsky (1823 – 1871) is proudly called “the father of Russian pedagogy” and he deserved this title not only in theoretical field knowledge. Having finished Moscow University’s Faculty of Law, Ushinsky with a degree of the candidate of pedagogical sciences started his practice as an acting professor in the Demidov’s Lyceum in Yaroslavl (Pedagogika Ushinskogo, 2012). During his life, Konstantin Dmitriyevich changed a number of institutions due to inconsistency of his pedagogical views with the schools’ management, but whenever he was leaving a school, the system of teaching was radically different in a better way. The reasons of such a drastic educational success are hidden in pedagogical principles of the great teacher. Ushinsky was a strong proponent of democratization of education (Latyshina, 2006). Education for all, regardless gender or social status was the motto of Ushinsky, giving him love and respect of children and teachers he was working with. In addition, the father of Russian pedagogy argued that laws of philosophy, psychology, anatomy and physiology should constitute a foundation of pedagogy. The practice, in his opinion, even successful, does not mean its absoluteness and is closely bounded to theoretical field, as theoretical knowledge is complete only when accompanied by practical application. Another component of “upbringing” by Ushinsky is the development of harmonious personality, which is impossible without moral values. The teacher viewed the moral side of the human as the main purpose of education, placing the skills and knowledge on a second plan. At the same time, an integral part of upbringing and learning in his concept is the acceptance of national traits, correspondence with traditions and special values (Cipro, 1994); education in that way promotes love for Motherland, but contrasts with idea of chauvinism and endorses respect to other nations. The masterpiece of the great teacher “Man as the object of education: Educational anthropology” is a comprehensive work, illustrating complexity of a human as a unit for research. He described an individual as a multidimensional creature that is very difficult to measure and even more difficult to educate. Ushinsky argued that in order to educate an individual in every aspect, an educator should know a human from every side. As you may see, even today the ideas expressed by Konstantin Ushinsky are relevant and insightful. The modern society faces new challenges of epoch; when the humanity is getting more advanced in sciences and technology, the gap between knowledge and moral components is still increasing. The Globe is on fire: fire of wars, fire of human indifference, purblindness and moral numbness. Perhaps, it is time to sit on a leather chair, open the book and start to listen to the classic melody of Ushinsky’s wisdom. I like your post. I guess you were inspired by presentation which you together with other students from your group made on Comparative and International Education. Your blog remained me lessons at the university and my teacher of pedagogy. She obliged us to read all works of Ushinsky. At that time I did not find his views and ideas so important. Only when I begin my teacher career I started rereading some of his works. In is a great pleasure to have an opportunity to read such great educators, which contribute a lot to the education, and apply this knowledge in the practice. All the ideas are still so actual. Even foreign educators use the works of Ushinsky in their studies. Stas I have no doubt that in the nearest future I will hold the book about your pedagogical experience. I will proudly say, to my children, what I have honored to study with the author of this book Stas Khanin.